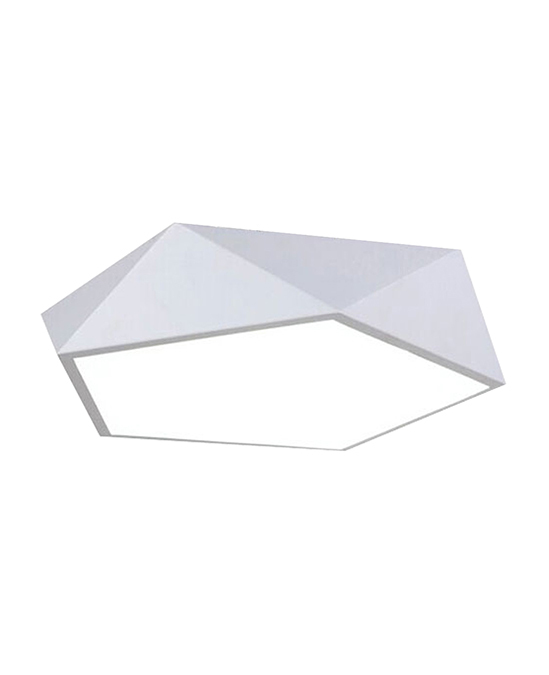 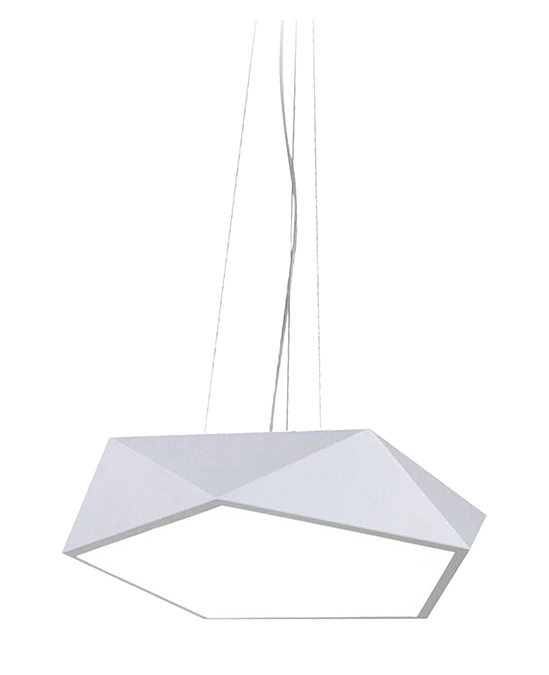 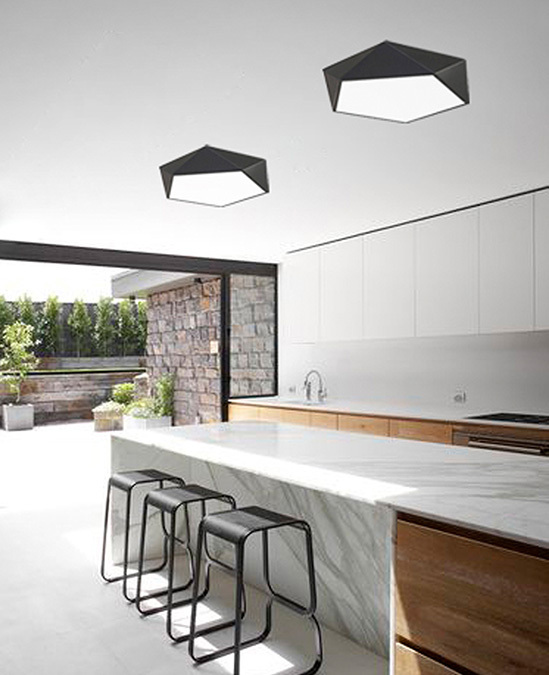 A pentagonal shaped Pendant light constructed from Aluminum channel. 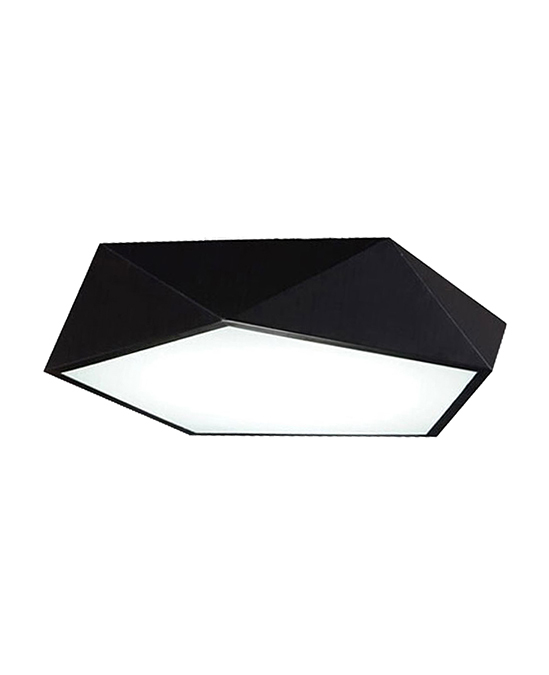 Penta contains two different sizes with a warm white LED light source and a recessed poly prismatic diffuser. 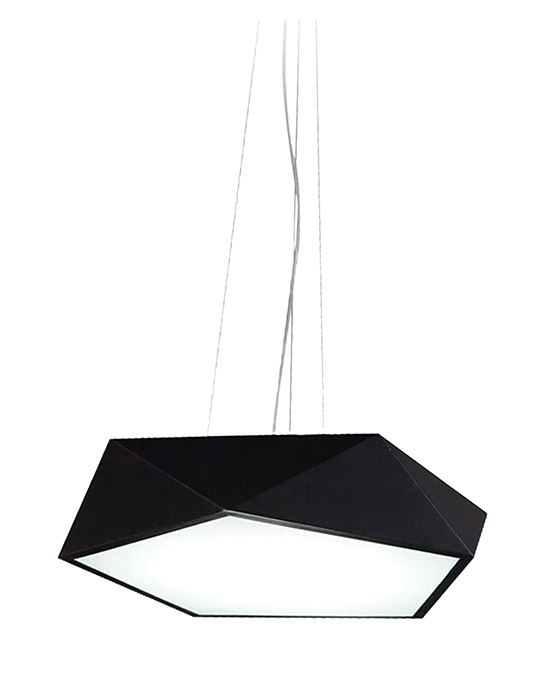 Its multi-angles shape brings a strong character deem to be a focus in the space.